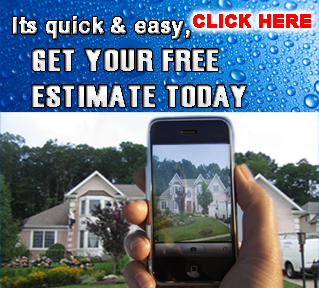 We are the power washing specialists located in Northern Bergen County, New Jersey (NJ). Since our inception in 1990, Ace Power Washing has built a reputation for exceptional quality and service through communties around NJ. 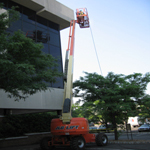 We remain dedicated to our customers and their power washing needs by offering a continued commitment to competitive pricing throughout New Jersey (NJ), New York (NY, NYC), Connecticut (CT), and Pennsylvania (PA). We hope to gain your trust to join our list of many satisfied clients and serve all your power washing needs for years to come. What is the importance of Power Washing? Power washing is important, not only for keeping things clean and tidy, but also for keeping your property 's value high and well preserved. Power washing and pressure washing services have been the easiest and most affordable way to increase the property value of your home, yet it's widely overlooked. It rejuvenates your exterior, making it more inviting to potential home buyers and customers for commerical properties. Building Owners Managers Association (BOMA) recommend cleaning any exterior surface every 1 to 3 years or as needed in order to maintain your property's exterior beauty. Over time, exteriors tend to gradually lose their original luster. Renew your property by giving it a facelift through a full power washing service. Power washing protects your property by increasing the life span of any surface; wood, concrete, metal, roof, vinly,pavers,pool patio, asphalt, brick, etc. Power washing also gives your home curb appeal and your business a professional look. But, the main benefit would truly be longevity and preventitive maintenance. Ace Power Washing is full time power washing contractor in NJ, offering mobile pressure washing services throughout the tri-state area. At Ace Power Washing, we offer 100% eco-safe detergents with every power washing service. 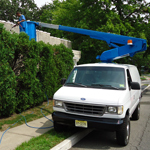 We have set the standards in the power washing industry for more than 20 years in New Jersey with our environmentally friendly techniques and custom fabricated equipment. We also offer the exclusive Eco House Wash with low pressure washing applications for delicate surfaces. We also offer the traditional high pressure washing service with cold, hot, and steam applications. Ace Power Washing is fully licensed and insured( NJ HIC #13VH02128500). We are available 24 hours a day, 7 days a week. Ace Power Washing technicians have the skill set and experience to clean any type of surface (houses, decks, concrete, gutters, windows, etc.) in NJ, NY (NYC), CT, and PA. We provide our services to home owners, commercial business owners and retailers, as well as property management companies. Whether it's with our specialized applicator tips or our state of the art, one of a kind power washers, which are custom designed, Ace Power Washing is one step ahead of the competition. 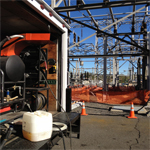 Ace Power Washing is equipped with 6 mobile pressure washing trucks that each contain 2 gun man power washing machines, each capable of producing pressures from 500 psi to 12,000 psi hydro-blasting pressure when required by specific jobs. We also use patented cleaning solutions which are formulated with lemon extracts, super flow rinese polymers, and anti- UV damage sealants. 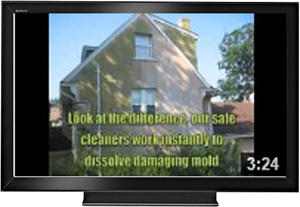 Watch This Video Clip to See The BEST of Ace Power Washing For the past 23 Years and see why we are the premier power washing company in NJ.